THOMASVILLE- If you are reading this article, you probably have an interest in sports and believe that all children should have the opportunity to participate in sports. Well, a new foundation in Davidson County has been formed to ensure just that. The GoPlay Sports Foundation strives to enhance the accessibility of recreational and school sporting opportunities to youth of lower economic means throughout Davidson County. GoPlay Sports works to provide quality, new and gently used sporting equipment and apparel to area youth by formulating a way to have the gear donated and distributed to youth in need. 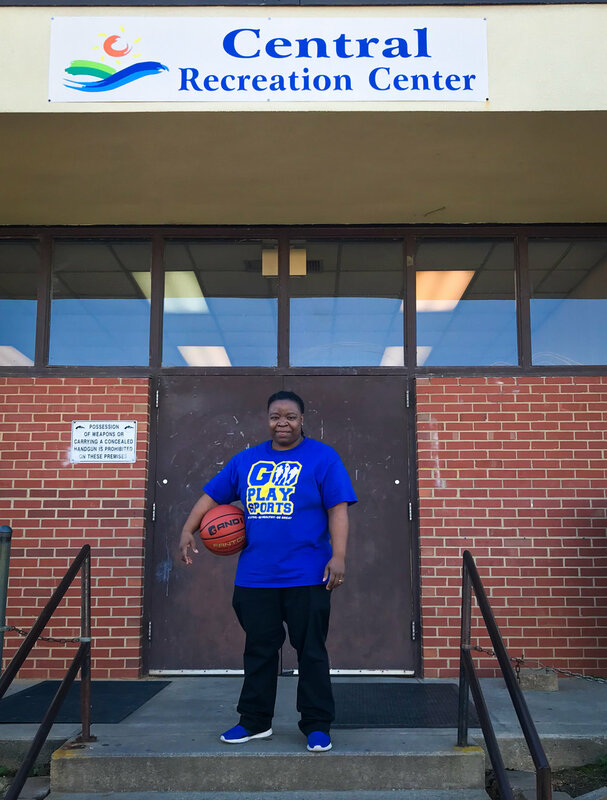 Enter Keosha Roberts, executive director of GoPlay Sports. A life-long resident of Davidson County, Roberts graduated from Lexington Senior High School in 2009. Roberts serves as executive director of GoPlay Sports based in Davidson County. The organization's mission is to provide children in need with sports equipment and apparel. Photo by Dan Tricarico. Today Roberts lives in Thomasville with her partner Shalonda and 4 children Jaiveon, Nyiveon, Zyiveon and Sahiem. She attended Davidson County Community College and will complete her degree in criminal justice from South University in December. She hopes to use her degree to pursue a job as a juvenile probation officer. So, with the ground work laid, there is now a resource in Davidson County to help disadvantaged families. Any family in need in Davidson County is eligible for assistance. United Way of Davidson County referred the first family to GoPlay Sports and the organization provided them with cleats for their two children. As an organization in its infancy and at the time this interview is being done, four families have been helped and the foundation is preparing to launch full-time this summer. When children return to school in the fall, GoPlay Sports knows there will be many families in Davidson County needing assistance so their children can participate in area sports programs. The challenge for Roberts and the organization is finding the equipment, apparel, funding and volunteers needed to help the foundation meet the needs of the community. Roberts is hoping to have two fundraisers in the near future. GoPlay Sports assists disadvantaged youth with participation in community sports by providing free athletic wear and equipment through generous gifted donations. Photo by Dan Tricarico. When asked who else is working behind the scenes to assure that GoPlay Sports will be a success, Roberts replied that the organization has a local board of directors. All have a passion for kids and their ability to participate in local sports programs. The board includes Roberts, Kevan Callicut, Lance Barrett, Martha Larson, Mary Jane Akerman, Jerel Wilson, LeAnn Kennedy and Lockhart McLean. GoPlay Sports accepts donations of new and gently-used equipment and apparel. Items may be dropped off from 2:30 pm-6:30 pm, Monday to Friday at the Thomasville Park and Recreation main office in downtown Thomasville. Volunteers are always welcome to help process and distribute equipment. For more information on how you can support the organization, email goplaysportsnc@gmail. GoPlay Sports is a 501(c)(3) foundation. Donations are tax deductible.